This first User Committee meeting, organized in the Netherlands 30 October 2014 brings together technology developers, risk researchers and users (both professional users and CSOs representing end-­‐users) to scan the horizon of nanotechnologies for water and waste water treatment. 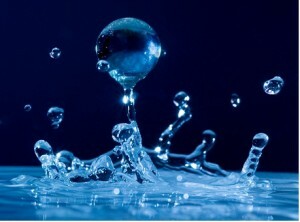 For the discussion on the application of nanotechnologies for drinking water production and wastewater treatment a distinction is made in two main topics that can characterized as: ␣ nano as a challenge ␣ nano as a risk. The practical objective is to identify opportunities and challenges for specific nanotechnologies, moving from the laboratory setting to use in the real world (e.g. additional requirements in the context of use (effects of scaling up); knowledge gaps in translation from theory to practice). The underlying methodological objective is to explore the effect of enhanced user involvement in technology development. The meeting consists of three parts: in the morning, technology developers will present specific technologies and their opportunities and risk researchers will present their ongoing research line; users will respond to these proposals. After lunch, users will present their perspective on the opportunities of nanotechnologies and technology developers will respond. The last part of the day is devoted to a discussion of the possibilities and barriers for enhanced user involvement in technology development.